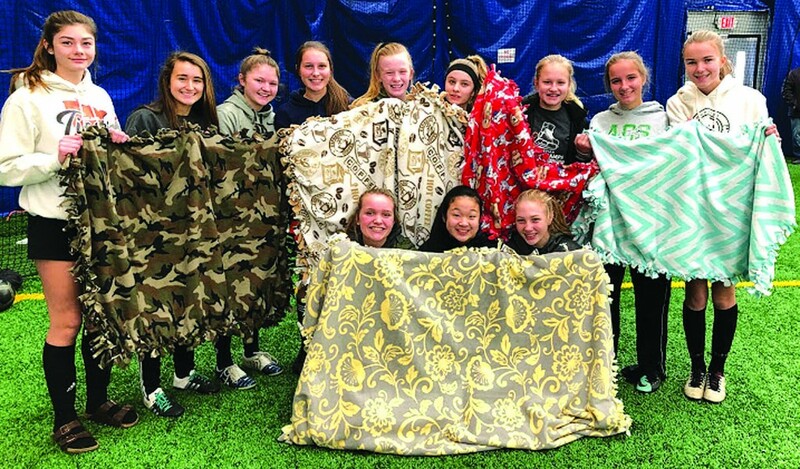 The Wright County Soccer U15 team has been busy during this off season. 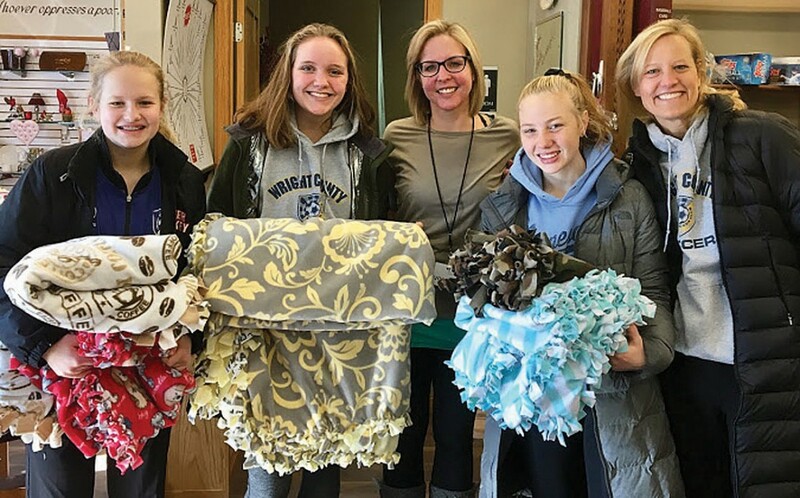 The team recently made and donated tie blankets to Love INC. The Wright County Soccer team includes players from Delano, Loretto, Rockford, Buffalo, Hanover, and is coached by Kirk Reierson. Pictured in the team photo are (front row, from left) Lauren Brouwer, Gracie Larson and Madeline Engel; and back row: Ava Chappuis, Victoria Viteri, Maggie Leipholtz, Sydney Kazin, Kendra Ellis, Maddy Remer, Ava Reierson, Livia Loecken and Amber Peterson. Not pictured are McKenna Allen, Hattie Jackson, Lucy Paul, Grace Panek, Kelly Peterson, Lucy Smith and Emma Wolf. 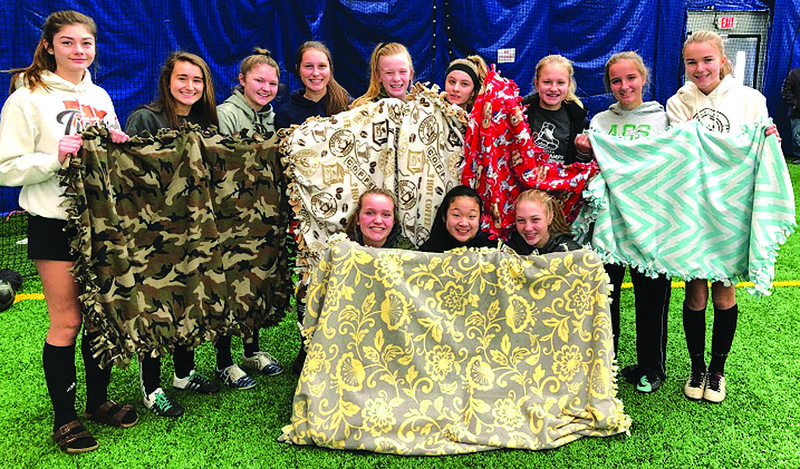 Players who delivered the blankets (below photo) are Ava Reierson, Lauren Brouwer, Madeline Engel and Manager Britta Reierson.